Milk shakes have been enjoyed since the early 1900s, and were originally made by mixing milk with chocolate, strawberry, or vanilla syrups. Home-made shakes are made with blenders which gives them whipped, aerated and frothy characteristics. Shakes can be made using milk, ice-cream or iced milk, with the addition of flavourings or sweeteners such as fruit syrup or chocolate sauce. Many retail shakes look to re-create this whipped and light texture utilising a head space in the bottle that allows an increase in volume upon shaking. Stabiliser systems will then look to maintain this texture and volume whilst consumed. 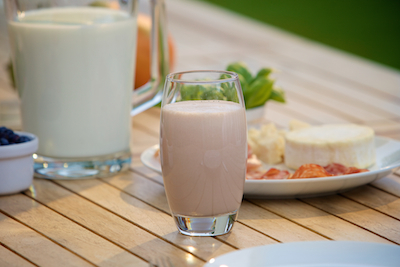 Whatever milk shake product you’re looking to develop our team of food technologists can help. Talk to us today about how we can help you bring your new product to market. Talk to us today to discuss any problems you may have with your milk shake products. Here at KaTech we have the expertise to help you reduce the costs of your recipe. This can be achieved while still creating a milkshake product which tastes great and which consumers will enjoy. One approach is to use a combination of starches, emulsifiers and thickeners to replace expensive milk solids and/or milk fat. We can show you how to do this whilst maintaining a premium mouthfeel and creaminess. Our team at KaTech can advise you on how to create a great product for less. Contact us today for advice on how to reduce your recipe costs.